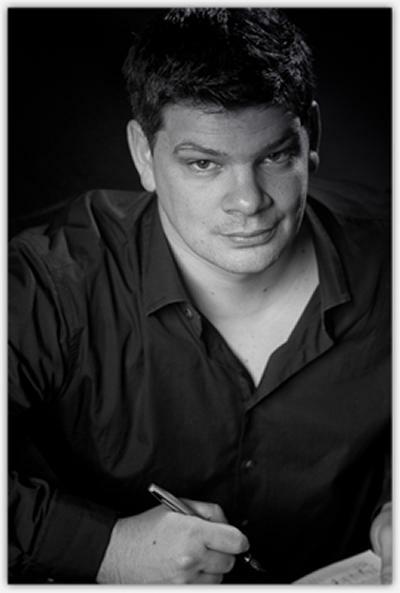 Dr Andrew Fisher is an Associate Professor in Music at the University of Southampton. I am Head of Commercial Composition, which means I deliver the undergraduate and postgraduate modules relating to ‘commercial’ composition along with Prof. Matthew Scott. I personally teach undergraduate modules in Songwriting and Arranging, and postgraduate modules in Film music, Musical Theatre, Songwriting and Video Games Music. My door is always open to students and I am often asked advice about how to get into these industries. The best part of my job is enabling students to realise their potential and to see them pursue their dreams as they become professional composers and performers. I studied for my undergraduate degree at the University of York, my masters at The Royal College of Music and my PhD at the University of Southampton. I joined the faculty here in 2004 and have since taught undergraduate modules in popular culture and composition technique: Orchestration, Commercial Composition, Jazz Theory, Jazz techniques, Composition Workshop and Portfolio. I also served as Head of Jazz and Pop for four years. As a composer I mainly work in musical theatre, film, video games, and jazz and pop. I’m also an orchestrator and arranger, and have worked on EMMY winning and BAFTA, EMMY and Golden Globe nominated projects, and have dabbled as a jazz pianist and as a player on the improvised comedy circuit. Recent Musical Theatre credits include The Weird Little World of William Willow (Omnibus), Dido (Soho Theatre) with Emma Williams, Jazzed Tales (Greenwich Theatre), Billy Bow (Nuffield Theatre), A Face in the Crowd (Greenwich Theatre) and Alice in Wonderland (Jack Lyons Concert Hall). I have also released two jazz CDs with 33jazz records. Recent film credits include orchestrations for the hit movies Attack the Block (Channel 4 Films), Mr Bean’s Holiday (Working Title), A Mighty Heart (Plan B, Vantage Films), Wild Child (Working Title), Burke and Hare (Ealing Studios), Glorious 39 (Working Title) and The Dinosaur Project (Moonlighting Films). Most recently I have worked on the score to Face of an Angel (BBC Films). Recent TV credits include orchestrations for Howard Goodall’s EMMY winning score to Into the Storm (HBO), Superstorm (BBC), Robin Hood (BBC), Richard Blair Oliphant’s scores to Moonshot (History Channel) and the 2010 General Election Theme for the BBC. In addition, I have composed the score to two video games, Neo and Deemo, the TV short film Apples and Oranges (Coming up, Channel 4) and have co-composed with Steven Parsons the scores to the motion pictures Nine Miles Down (Silverback Films) and Journal of a Contract Killer (MJ Films). I have also provided additional composition for Richard Blair Oliphant’s scores to Rocket Men (Sony), Last Days of the Dinosaurs (Dangerous), the Discovery Channel series How the Universe Works and How the Universe Works 2, as well as The Great Barrier Reef for the BBC. Other credits in pop include orchestration for the Spice Girls World Tour.